MacKenzie Commercial Real Estate Services, LLC is pleased to announce that Andrew Meeder has joined their brokerage team as a Real Estate Advisor. Specializing in industrial sales and leasing, Andrew will be working alongside industry veterans, Senior Vice President/Principal Dan Hudak and Senior Vice President Michael Spedden. As a Real Estate Advisor, Andrew will assist with the day-to-day sales and leasing operations for properties currently represented by the industrial team, work to generate new tenant leads, coordinate market research, and support overall business development initiatives for the team. “We are pleased that Andrew chose to join the MacKenzie team; his enthusiasm and drive will be a great asset,” stated Hudak. Meeder previously interned with MacKenzie’s brokerage division during the summer of 2014, supporting marketing, research, and business development efforts for the division. He then took a position with MRI Global Search, a full-service global recruiting firm where he was responsible for seeking high-level sales professionals within the analytical instrumentation and pharmaceutical industries. 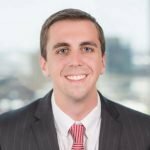 A Baltimore native, Andrew is a graduate of St. Paul’s School for Boys and holds a degree in Business Administration from Roanoke College. To reach Andrew Meeder, please contact him directly at 410-494-4881 or email, ameeder@mackenziecommercial.com. For more information on MacKenzie, please visit www.mackenziecommercial.com.